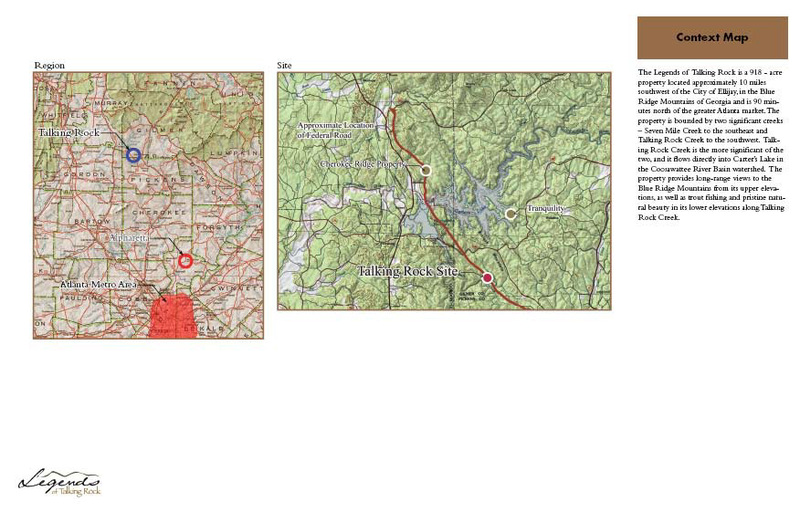 Legends of Talking Rock, Ellijay, GA | Malouf Interests, Inc. The information herein while based upon data supplied by sources deemed reliable, is subject to errors, omissions, change of price prior to sale or lease or withdrawl without notice. This is not any way warranted by Malouf Interests, Inc., or any of its agents, independent associates , or employees. The purpose of this website is to provide general information regarding the subject property. It is the obligation of the prospective buyers, lessees, or individuals pursuing the property to perform due diligence to insure that the property is capable of meeting the intended usage in all respects. The Legends of Talking Rock is a 918-acre property located approximately 10 miles southwest of the City of Ellijay, in the Blue Ridge Mountains of Georgia. 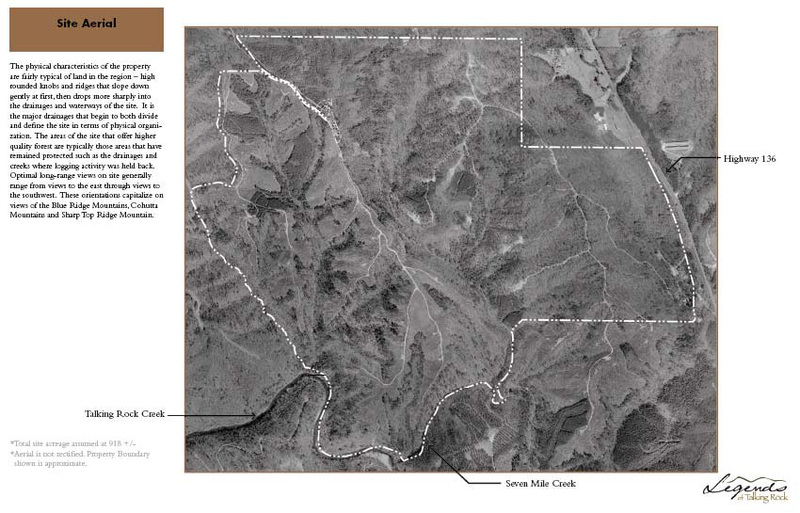 The property is bounded by two significant creeks – Seven Mile Creek to the southeast and Talking Rock Creek to the southwest. 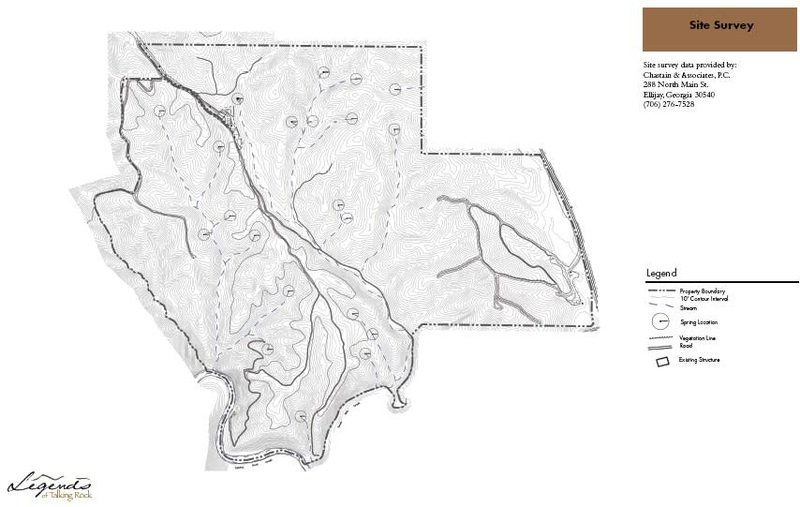 Talking Rock Creek is the more significant of the two, and it flows directly into Carter’s Lake in the Coosawattee River Basin watershed. 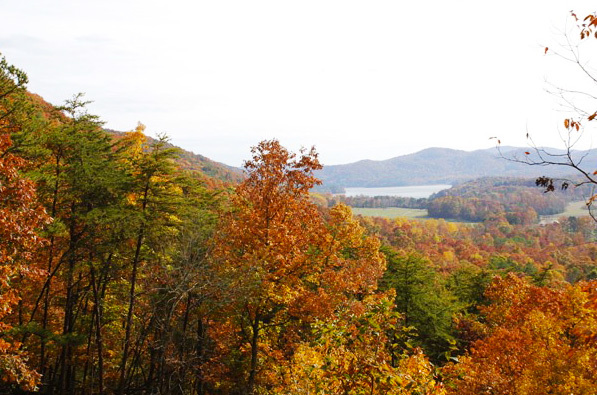 The property provides long-range views to the Blue Ridge Mountains from its upper elevations, as well as trout fishing and pristine natural beauty along Talking Rock Creek. 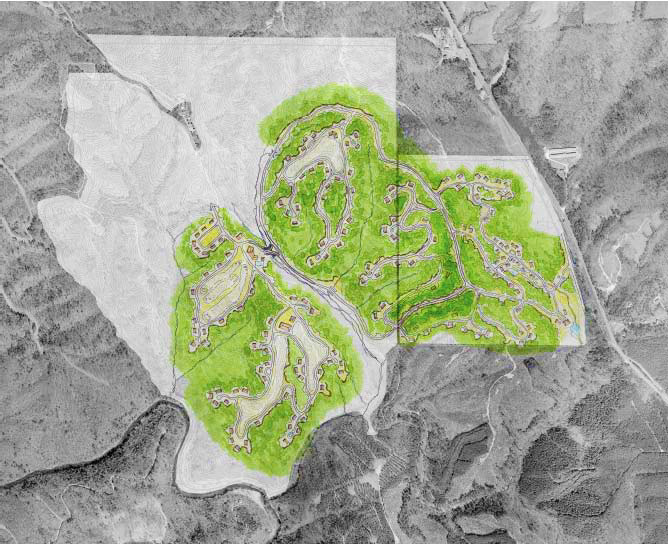 Legends of Talking Rock master planned residential community. 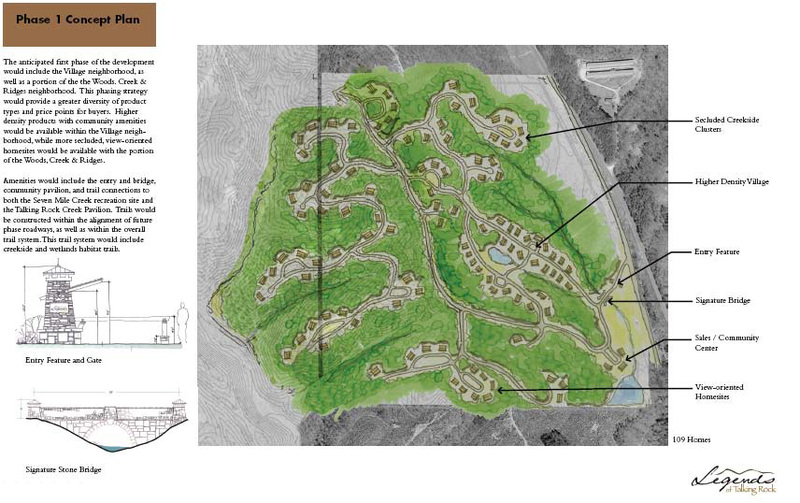 Title: Legends of Talking Rock master planned residential community. One of the most significant characteristics of the site is the presence of remnants of the Old Federal Road. This road gets its name from the fact that its construction in the early 19th century was one of the first public works projects undertaken by the Federal Government of the United States. The road was constructed as a trade route connecting the ports of South Carolina and Georgia with the rich interior lands of Kentucky and Tennessee. 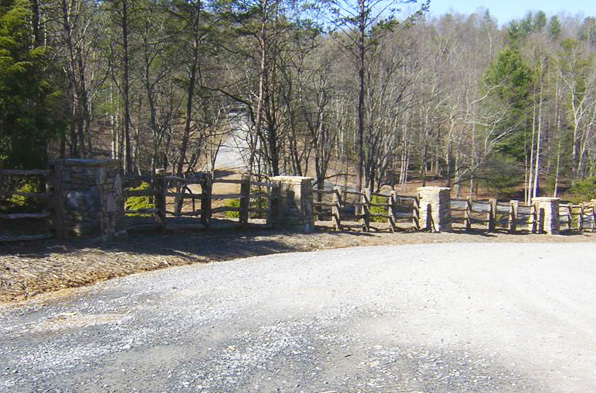 Construction of the road, for the portions that crossed what was then Cherokee Territory, was contracted to the Cherokee – who built and maintained much of the road. Ironically, this same road was later used in the 1830’s as the route the forced removal of the Cherokee people from North Georgia to Chattanooga, Tennessee in what would be the beginnings of the Trail of Tears to Oklahoma.